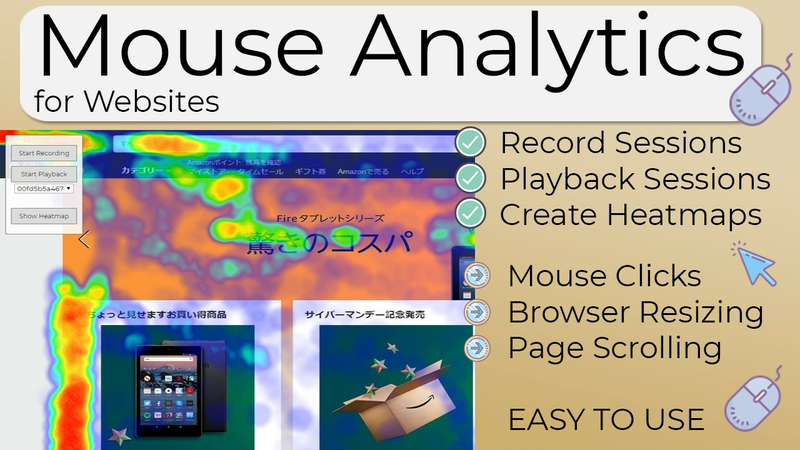 This mouse analytics code tracks and reveals user mouse journeys to you. It lets you replay the full sessions of every visit, which lets you improve the user experience and optimize your site. No need to guess which parts of the website cause issues to the user in terms of UI and UX. Additionally, by using all sessions collectively for a specific website, this code can draw heatmaps that show overall trends and which areas of the website are of more and less interest and usage. 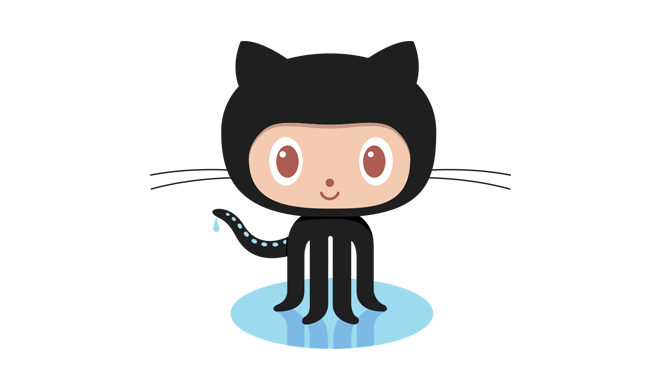 This code tracks clicks, positions/movements, scrolling and resizing. During playback clicks are animated visually to make them visible. Scroll events are simulated, so that your playback window as well will scroll at the same time in the playback. Another thing tracked are resize events. Whenever the user resizes their browser we simulate this in the playback. We also account for this during positional tracking and heatmap drawing. No more guessing. Get your information just like this. Keep an eye on your website. We use an image of the japanese amazon frontpage to simulate a website, in this case. Make sure your server is running PHP 5.4 or higher. 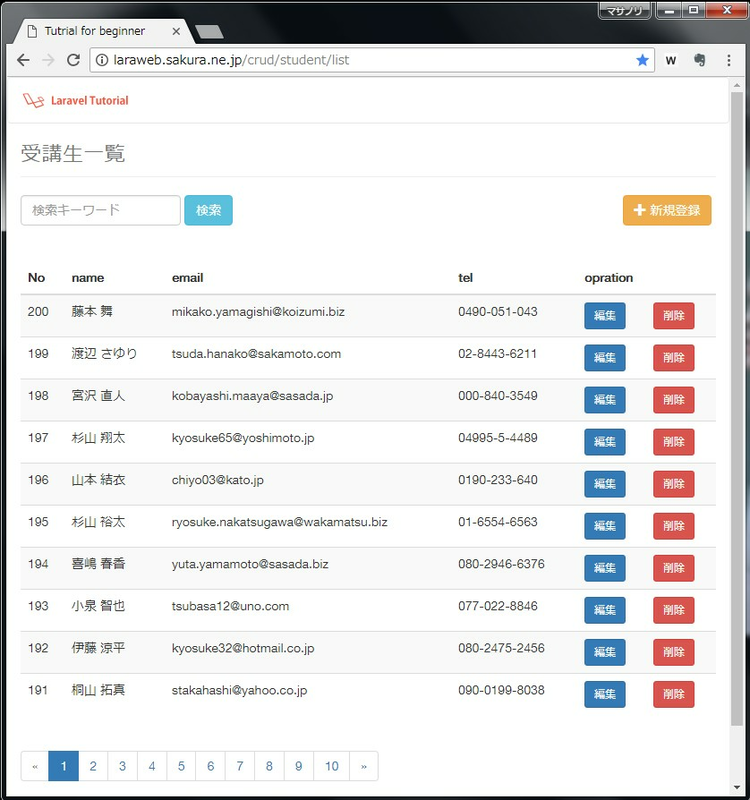 We use PHP’s PDO to connect to the database. Make sure to replace the credentials. Use the database_script.sql to create the database, table and some sample data. Besides the main script mouseanalytics.js, make sure to implement simpleheat.js, which comes included. And also include Jquery. On your website you will see the menu pop up. This is all you need to control the script. Great library, good price value.